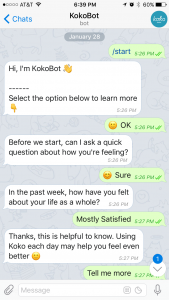 Recently I was pointed to Kokobot app (http://itskoko.com/) so I decided to give it a try today. 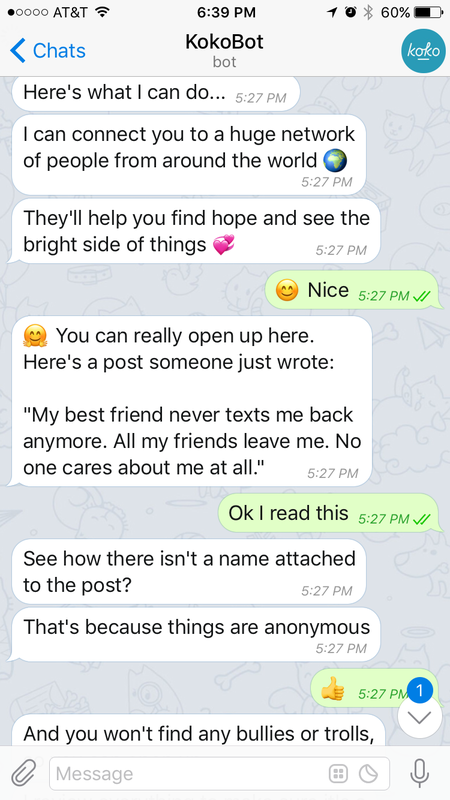 I have the Telegram app installed on my iPhone so I quickly searched for @TheKokoBot username and right away the bot started chatting with me. 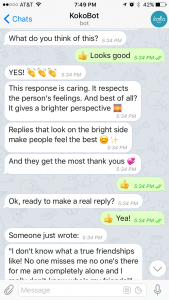 Here is the news about Telegram not being implemented securely. 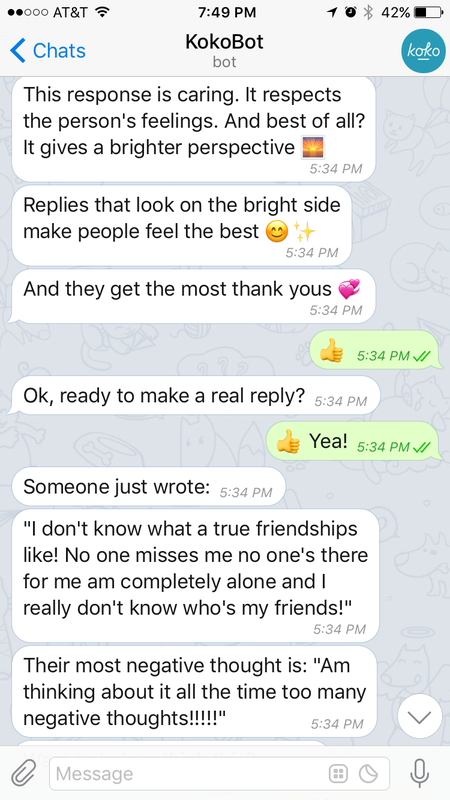 Here is a news about Telegram becoming one of the most popular apps because WhatsApp was down for 4 hours. 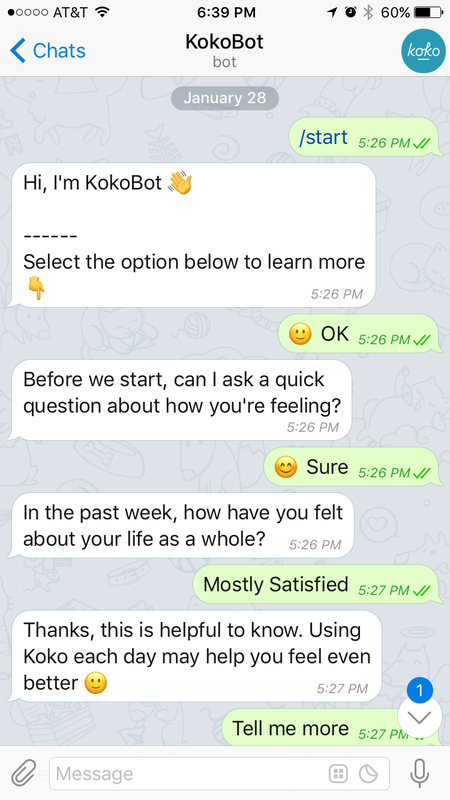 The introduction to the KoKo app takes about 2 minutes via back and forth text messaging to Koko bot. 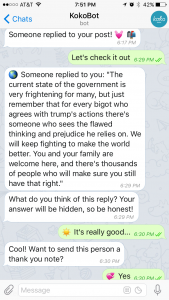 The app provides pre-generated answers for the bot that you can choose from. I recommend that you choose from them to make the first 2 min goes by faster. 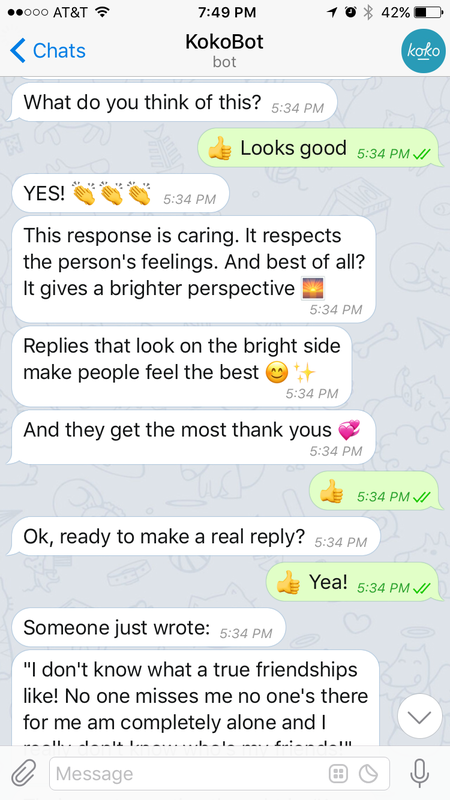 Here are the snap shots of my first interactions with the bot. 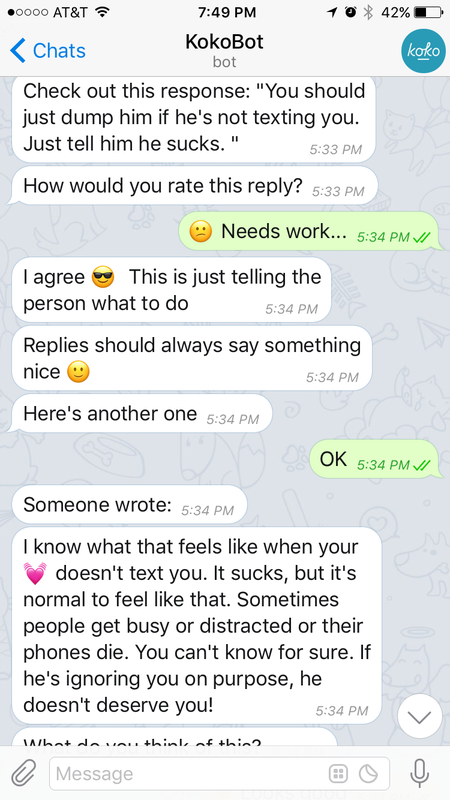 My answers were all recommended by the bot. 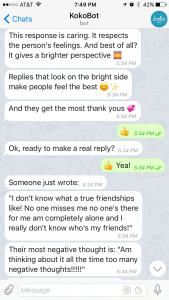 Then, the bot asked me to describe what is bothering me in 3 sentences at most. I responded “I am worried that I won’t be able to see my family again or they won’t be able to come to US to visit me.” I actually like the way that the sentence above was framed. What evidence do I have for that thought/belief? What evidence do I have that is inconsistent with that thought/belief? What are the cost of buying into that thought/belief? What are the benefits of buying into that thought/belief? 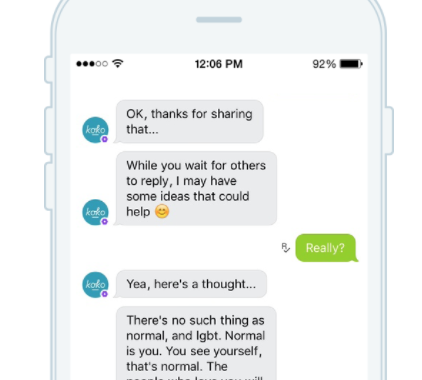 It would have been even better, if a chart of unhelpful thinking were to present to each user so that not only they could label their thought, but also whoever reads the though could label that as well (http://psychologytools.com/unhelpful-thinking-styles.html). 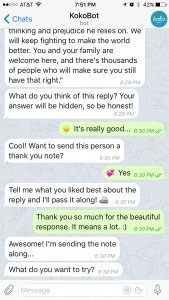 Then the bot responded by saying “Sending this off… I’ll be in touch when you get a reply:. While you wait, let’s help someone else. Here’s what you need to know. Koko is warm, friendly place! You don’t have to be perfect here. 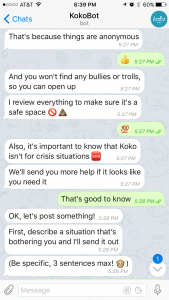 On Koko, we help people to see the bright side to things. We don’t just tell people what to do. Then it starts with walking you through an example. 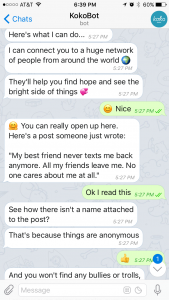 In another words, the app wants the reader to present an alternative explanation for the unhelpful thought. Then I wrote a respond. 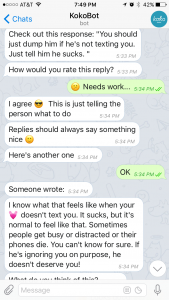 However my response was more than 5 sentences. I am still confused why challenging the unhelpful thought is not being taken into considerations. Instead, we jump right away to presenting an alternative explanation of the though. I also understand that the hardest thing in CBT that most patients struggle with is “finding” that alternative thought which could replace the unhelpful thought. So maybe users were not recipient toward process of challenging the exiting unhelpful thought. 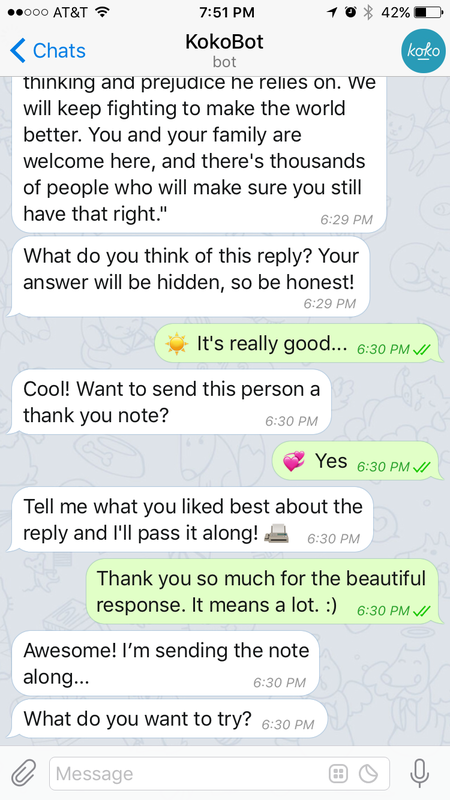 Afterwards (within 10 minutes) , the app notified me that someone wrote a response for me. I like how fast this was. 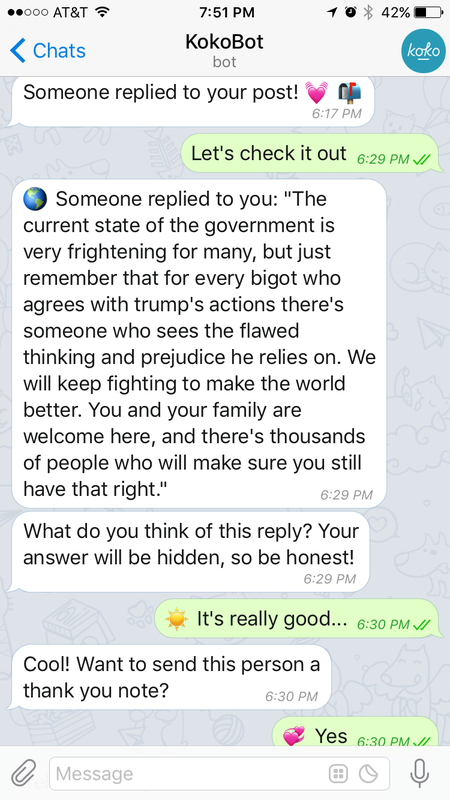 How do you define your thoughts now that you received this response? Is there another way of looking at this problem? Now, what if what bothered you could happen? How would you cope with it?